Fancy exploring ancient Greek or Roman history? Or getting your taste of European fashion, nightlife or just laying on a Mediterranean beach? 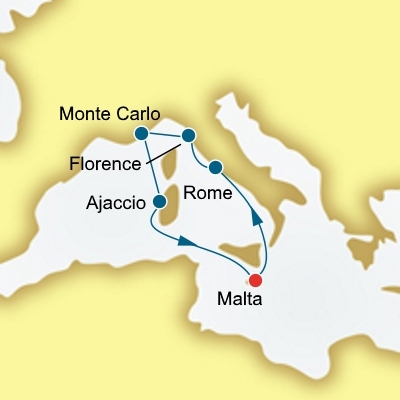 A Mediterranean Cruise could be just the tonic for those winter blues. A colourful mix of Mediterranean destinations awaits as you sail the high seas taking in some of the most beautiful Islands and Cities in Europe. The Best Cruises to the Mediterranean feature a mix of big cities and smaller Island destinations to get the best of both worlds. 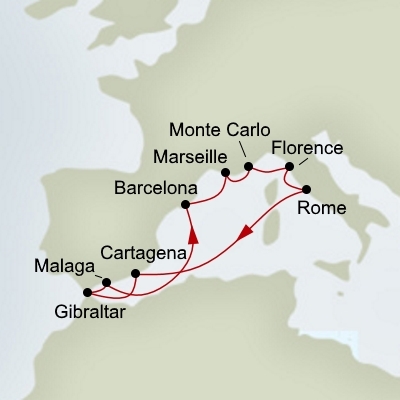 Cruises in the Mediterranean can range from medium haul 7 day cruises or longer 10, 12, and 14 night journeys. 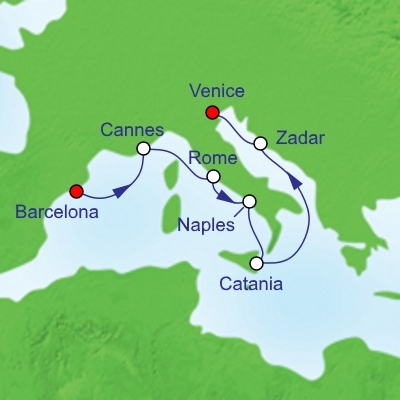 Longer Cruises can take into account Western and Eastern Europe such as a Barcelona to Istanbul Cruise or a London to Italy Cruise. 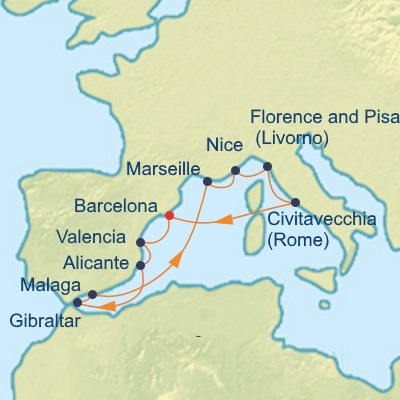 Other interesting options could include a Mediterranean Cruise including Israel or the Canary Islands. For those interested in an Anzac Cruise to Turkey, Celebrity Cruises runs a special Anzac Commemoration Cruise coinciding with Anzac Day in April. 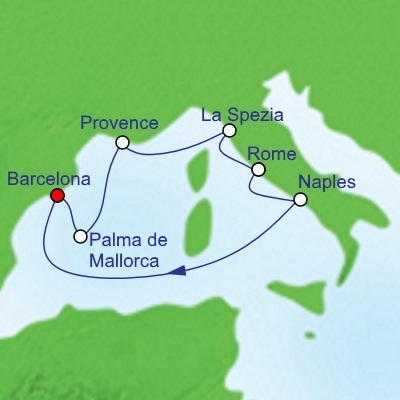 Mediterranean Cruises are best taken during the European Summer or Spring when the Sun is not so fierce. Peak periods occur during June and July where tourists from all over Europe take holidays along with visitors from other parts of the world. Sunbathe, explore villages, dine on European delicacies. Explore the canals of Venice. Visit the Colusseum in Rome. Marvel at ancient ruins in Greece. Experience the nightlife in Split and Debrovnic (Croatia). Bathe in a Turkish Bathhouse. 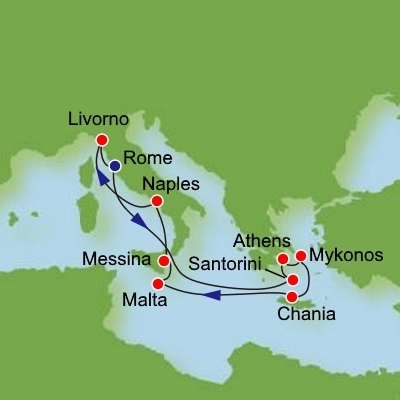 We have a number of discount Cruises in the Mediterranean on sale from under $1500. 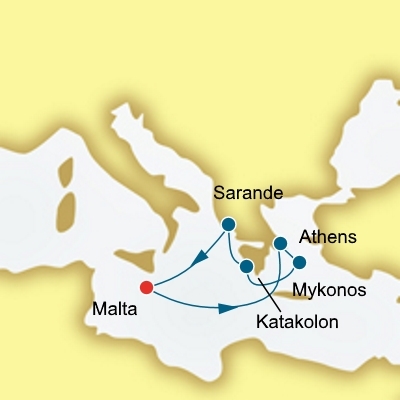 All Inclusive and Bonus Offers are also available on some itineraries.